Digital Marketing & Website Project Sales to SME | A Unique opportunity with a Growing & Modern Firm! 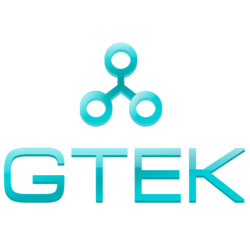 GloboTek is currently seeking sales people to help with driving the company's digital marketing arm forward. GloboTek is a digital media services firm that focuses on using web design & development to meet business objectives for our clients. Our process is extensive and detailed with as much research and planning carried out as actual website building. We focus equally on generating more traffic or sales and developing a website that fits the exact needs of the business. We want to target businesses of all sizes, we will work with anything from a 100 year old company to launching a startup for an individual with the next bright idea. At present we're ideally looking to sell into firms with revenue up to the 100 million USD mark. We've worked with firms and organisations of this size previously and can easily manage projects with values from $20,000 - $125,000. What I'm looking for, is people to help with developing GloboTek's sales funnels and grow the firm's client list very quickly. As such, I'm on the hunt for sales people who understand the web and digital marketing industry. I am seeking people who are passionate about the product and treat our clients as if they're your own. I need someone who will take the time to define the client's needs and explain to them the process and the benefits of working with GloboTek. Being someone who enjoys working autonomously but has an eye for detail is important. I'm looking for someone who wants to take the time to build a relationship with a client, even if the only time you ever speak to them is during the sales process. We're not in the business of sell, sell, sell because we want to develop a client's ideas and make sure that we fully understand their end objectives. There's always the issue that they may have done some research themselves or been told by another agency they need A, B and C when in fact they need X, Y and Z or a combination of all of them. I find that through taking the consultative approach, I convert around 28% of potential leads into paying customers. Even those who don't convert immediately may come back 6 months later when they're in a better position to invest in their business be it time to commit to a project or simply they now have the financing in place. I'm also looking for people who want to work for me on a regular, consistent basis. It's not a full time job but knowing you're going to delivery X hours per month and the sales you make are a consistent number each month/year is important as there's the resources required to actually deliver the project to consider. It's no good going from 5 sales one month to 15 the next as the low months will see people sitting around doing nothing and the high month will mean we simply don't have the manpower to do the work. As always, it simply comes back to communicating well and everyone keeping lines of communication open.